Please allow about 10 business days as some of these items may have to be ordered due to the volume of sales…we have no way of knowing how many we are going to sell and some of these numbers are more than the distributors carry at one time. The winners have been randomly selected and I have not payed any attention to their content…I asked several people for numbers and then picked the corresponding comments with that number…Some I added more prizes too and did it in a group…like the 1st three comments of the day…Some of you are pretty clever and I would have loved to have picked my favorites but I don’t think it is quite as fair. Also…you have until Dec. 31 to order any of the items on the 12 Days of NEEDFUL THINGS…at their special prices. I love to paper-piece half-square triangles. Am anxious to use your papers for those perfect squares! DAY 11 WINNERS-PRECUTS–JELLY ROLLS,LAYER CAKE, CHARMS, MINI CHARMS, FT8 & FQ BUNDLES…WHAT WILL YOU RECEIVE, DEPENDS OF WHO RESPONDS IN WHAT ORDER? I just finished making an adorable runner for my antique vanity. I used 2″ pre-cuts from Floral Gatherings in a checkerboard pattern. Oh so much to say…….1st. 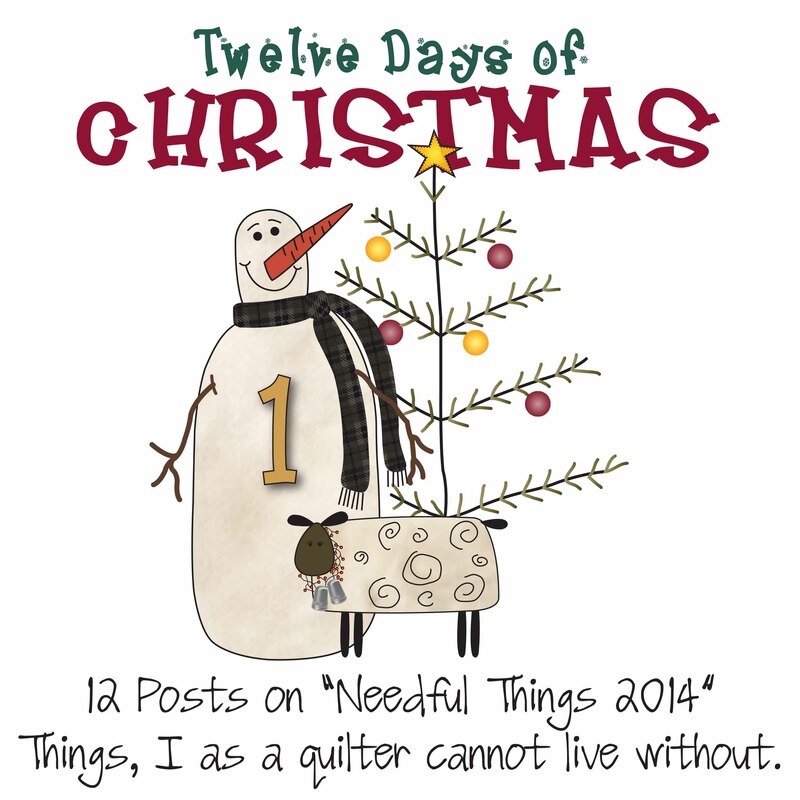 Love the 12 days of Christmas picture. Would love to stitch it. 2. You know I love my precuts- needleminders out of the mini charms; “Paul Bunyon” quilt out of the jelly rolls (did the jelly roll race quilt and got carried away) and foremost they make such an great easier way to make anything! off to order……………. Are we supposed to make stuff out of precuts? I thought they were to be used on our shelves to look cute! I have to admit that I love using charms and your method to make 9 patches from the Nine Patch Gatherings book. My first experience with pre-cuts occurred several years ago. I was enroute to an annual retreat with my sister & I stopped at Merry’s Stitchins (just to say “HI”) since my car was already packed with more projects than I could possibly finish in a weekend! Of course I wasn’t in the store very long before Merry had convinced me that I would ‘hate’ myself if I didn’t buy her twister quilt kit. She explained that I would have to mark my ruler for the special cuts (before the templates were introduced). I got to the retreat, ate dinner & had the quilt top DONE before bed time!!!! Next day, several of the ladies at the retreat were headed to the LQS to buy a charm pack!! I think we had 10 ‘little twister’ quilts by end of that retreat. Since that weekend, I’ve become a huge fan of precuts!! Have made several mini quilts with the little packets you sell in your booth at AQS shows. Just watched the video……..awesome! Am not in love with the June Taylor version. “Paper Bag”…….love!!!!! I enjoy buying kid gifts and donating to toys for tots. I also adopt a child from our local county head start program and fill their wish list. Gives me a great feeling knowing I helped to make a child’s Christmas happy. This year I even made doll clothes for a doll I bought on clearance in July for the Head start program. On Christmas Day I try to imagine the joy of the children who are receiving the gifts who wouldn’t have otherwise received them. By the what, congrats on becoming a grandma. There is nothing like it! Mine are already sent! In the past, I sent them out the day after Thanksgiving… That was before I got bit by the quilting bug! Now I am lucky to get them out before the big day! If I’m not thinking of quilting things, I’d choose to be celebrating the holidays with my family back east. 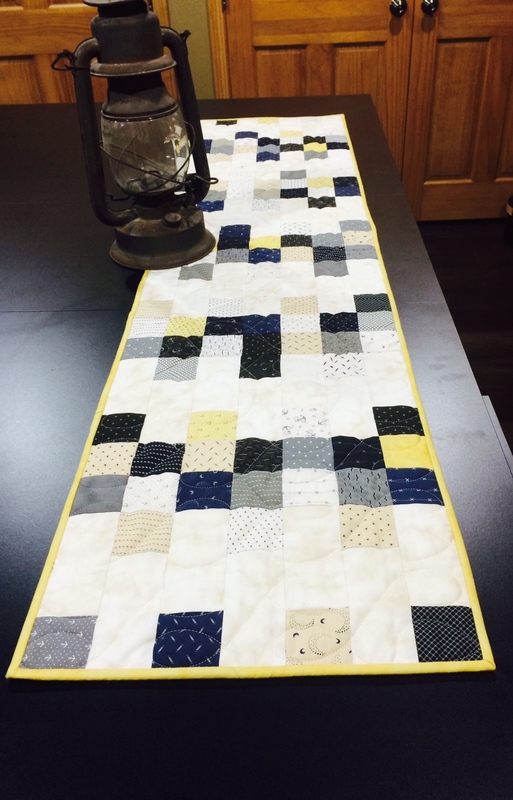 Quilting wise – and this is waving a magic wand – I’d have an assistant who would take my ideas and then organize all the fabrics and supplies I’d need for each project in one place so all I’d have to do was cut, sew, and quilt. If she/he wanted to cook, that would be fine, too. Thanks for asking. It’s always fun to imagine and dream. DAY 3 BOBBIN HOLDERS…ANOTHER THREE IN A ROW.. I learned to sew at an early age from my mother on her Singer Featherweight, which she recently gave to me. I made my first quilt when I was pregnant 36 years ago. It was a Lamoyne Star, cut out with templates and scissors from scraps. What a project for a first time. There were practically no long arm quilters at that time. I tried to hand quilt it but thought I would never finish, so my wonderful mother-in-law had quilted it for me. I am now on my 3rd Bernina and love the bobbin holder! I will be ordering it! I have asked the question before, if UFO’s of other people have to be added to my UFO list if I inherited them…the answer has always been a resounding YES. I have about 6 or 7 UFO’s from my Great Grandmother, Grandmother and Mother that I have been developing my sewing skills to feel confident to finish. I have had them appraised, and all agree that my foremothers were skilled sewers, and I have sewed with them, from the time I was about 4. I have collected the fabrics and done the design work and will begin to finish them in the new year. Yes, it is an inherited disease! Lol, I missed this post, now the PS from today makes sense to me. I was taught to hand sew by my Grandmother and my Mother at a young age. My garndmother quilted in a quilting bee thru church. My Mother used to make us clothes. I was fascinated with it all, especially the creativity. I knew by 12 that it was part of me. You are not alone, it is my passion too. I love it. Thank you for making it so much more fun!!! 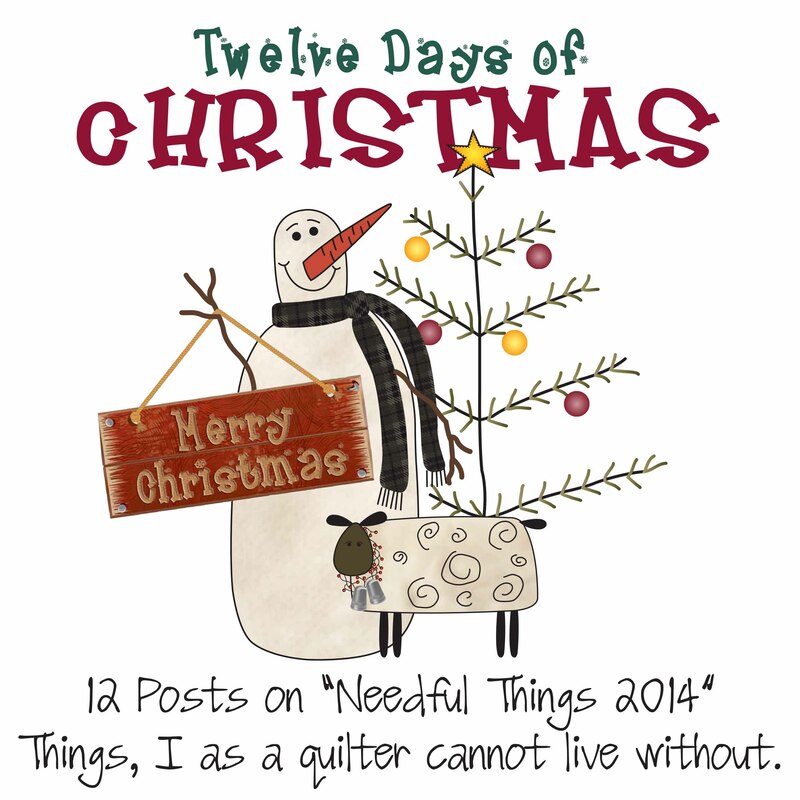 My soul is fed with my needle and thread! Purple , like you, ladies 2xl! Thanks Lisa! I’m sneaking this comment in at work so gotta run! DAY 1…JUKI…AS OF RIGHT NOW WE CAN’T PICK A WINNER…BUT IN THE FIRST FULL WEEK OF 2015 THERE WILL BE A POST IF WE SELL 50 MACHINES! IF WE GET CLOSE I’LL LET IT SLIDE…SO HOPEFULLY ONE OF YOU WHO ORDERS A MACHINE WILL GET IT FREE!! Nick and I are going on a much needed vacation right after Christmas and through the New Year…We will start 2015 on a much different note than 2014 and have faith that it will be an awesome year! We wish YOU the the best for 2015 as well, and THANK all of YOU for being supportive, wonderful customers who appreciate all of our hard work. My Staff also appreciates your continued support of our little piece of the quilting world. They work very hard to get your quilting NEEDS dyed, patterned, cut, assembled, organized, packaged and shipped into your creative hands…with the addition of the California store will probably employ more than 40 people by the end of 2015, most being full time with benefits like health insurance and IRAs…You are all apart of making this possible for us and them and we truly care about our products and our service to you our customers…again…many blessing to you also for 2015! Every year so far people ask…Will you please do the Juki again this year?…. so here it is AGAIN!…..by popular demand…and read for something we have never been able offer before at the end of this post! Now I know we pretty much all have a sewing machine…or two or three or even more…But I just have to talk about the sewing machine I use 99% of the time…It is my #1 Needful thing…Most of you probably have never heard of Juki…so let me just say they are not new to the market…Juki is well known in the garment industry and are mostly industrial machines. I think I have had a Juki for about 9 years now…I also own 2 Berninas, 1060 and a 1530, and a couple of featherweights…one black and one white. I confess this to you so you also know what I am comparing to and you all know I teach all across the country and have stitched on many machines. I bought the Juki with the intention to use it as a second machine to have set up for machine quilting my little quilts, and also so I didn’t have to change the walking foot from my regular foot on my Bernina…that would have been nice, right?…Juki has entered the quilt world with a semi-industrial machine for quilters. 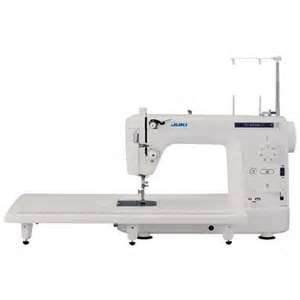 Here are a few of the features that the Juki machines have…all metal…no plastic bobbins, no plastic feet, comes with all sorts of feet including 2 free motion feet and a walking foot, a larger 9″ opening between the body and the arm, so machine quilting would be easier to handle. It has a nice extension table, this is nice for retreats, I have it embedded in my table usually. The machine ONLY stitches straight. Now this might be an issue for some, but I was only going to use this for machine quilting…The fact that it only stitches straight is actually a plus…nice tension all the time, single hole throat plate . It holds large cones as well as regular thread…It has an automatic thread cutter, automatic needle threader , knee lift and stitches 1500 stitches per minute or something like that, in other words it is FAST. After stitching on this machine and using it. I did not want to stitch on anything else. It “pieces” beautifully…I didn’t have to hang on to my threads at the start, the feed dogs are nice and close together and fed my little pieces in nicely. Having the single hole meant my piecing wasn’t sucked down into that oblong hole… and again…I could stitch, cut my thread with my foot(or there is a button, but I like my hands free to hold on to my patches) knee lift my presser foot and be on to the next thing…I especially love piecing triangle paper on the Juki for all the reasons I just stated…Now I know being fast really should not be an issue, right? We want to be accurate! But let me tell you, if I am stitching strips, borders or you name it…fast is handy…I tried going back to my “regular” machine to piece on…it was almost painful!!! Just shoot me…I loan this machine at The Gathering, but it comes with a warning…if you stitch with it you WILL be going home with it! I think only one person didn’t buy one after she stitched on it for a weekend…lol…They also have updated the Juki recently…I have a TL98Q, now they make a TL2010 Q1, they have updated to an LED light…they have added a Turtle and a Hare button, if you want to control how fast it can go…and they changed the foot pedal, a bit…I love my 98 and the features they added do not make a difference to me…so I am keeping my 98. Here is the only con to my Juki…it is heavy…but it is all metal! You can’t have metal parts and it be light!…I think of it like today’s featherweight-but it is not light. Anyone can work on a Juki…it is a basic machine, it has no computer…it just needs to be oiled and used and it is happy! Last year we sold almost…50 machines…If we make it to 50 this year…one of you who purchases will get theirs FREE!!! Those odds are pretty good!!! I will update you with numbers at the end of the year…I hope we sell 50 and I hope you WIN yours!!! Tomorrow Santa will post ALL the WINNERS for all the posts but this one unless we make it to 50 in one day! but otherwise I will post the winner of the sewing machine on NEW YEARS DAY! 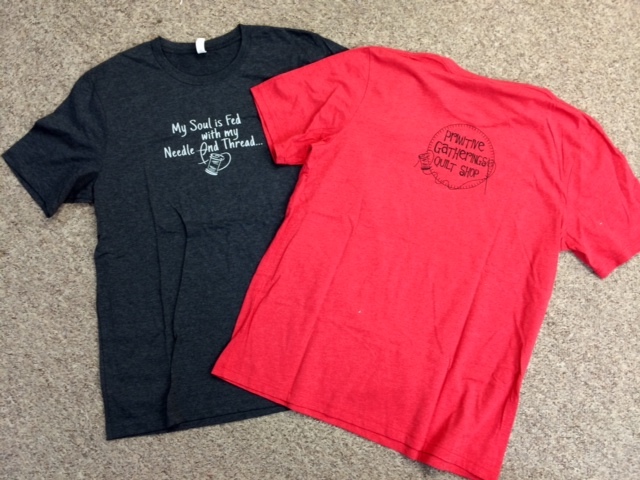 I’m sorry ladies but there was a boo boo…in the shopping carts….we DO have women’s 2Xl’s in all the women’s colors…If you need to change your order….please email the shop and let them know…put this title in the subject line: Womens 2XL and we will change your orders. 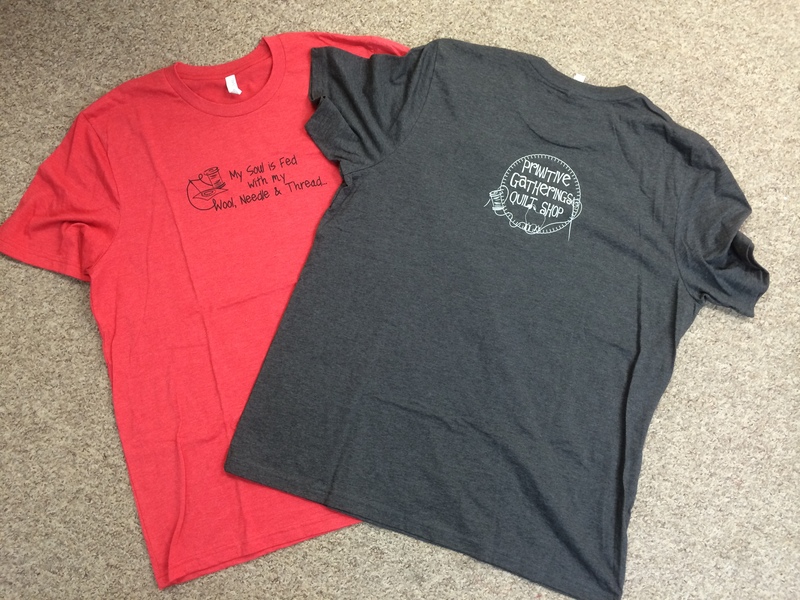 Sorry about this…and thanks Symantha for letting us know there were to 2XL’s on the site! Now another problem I may have with these is…I have no idea what you are going to like or IF you are going to like them at all and want to order them!!! or what size…so we have all sizes and colors in stock but not a ton of them….so if 50 of you all order the aqua M…I will have to re-order them…so I am hoping you like them…and will wait about 10 days for us to get the sizes needed if we run out and then get them shipped out to you…They are the same company that our last shirts were from…so if you have one…tell everyone how great they are!!! 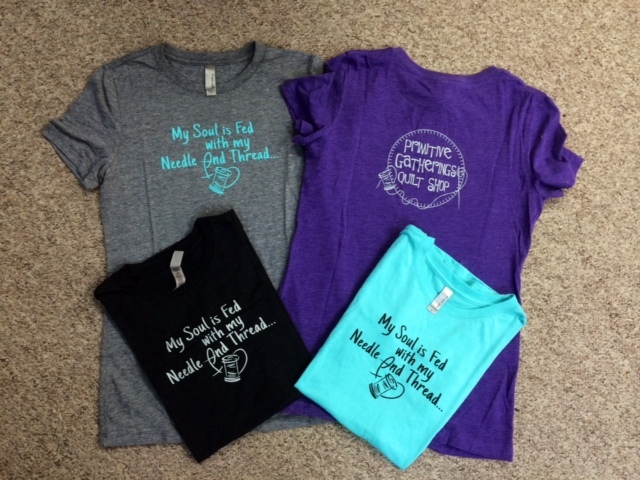 Click HERE to order a T-shirt! 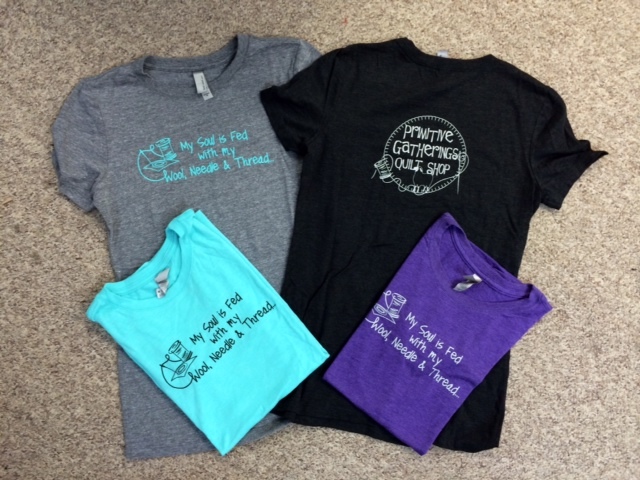 If you would like to WIN your T-shirt…comment with what size and color you would want if you were buying one! If you happen to win and you have purchased one we will NOT send you two…yours will be FREE!! !